WordPress is a wonderful thing. You can edit your website, add new pages and posts, do all kinds of brilliant things online. What we can sometimes forget about, though, is the maintenance, looking after your WordPress. And this is necessary, important – your site needs to be secure and run efficiently. So – what to do. Well having a backup is essential – install and set up the UpdraftPlus plugin, schedule this to take regular (depending on how often you blog or edit things, perhaps – weekly with 2 retained should suffice) backups in the Settings. You also need your FTP details – ask your host for this – it is important. Really. It can be a little daunting, updating WordPress, your plugins and themes, so we can take care of this for you if you prefer and want to focus on your business knowing your website or blog is ticking along nicely. Basically if you are met with a dozen updates and hundreds of spam comments and messages you’re just not sure about, let us take care of it for you. a review of the latest updates, taking care of those for you if required. 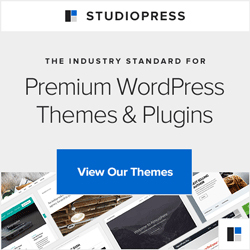 updates to your plugins and WordPress. a check on your security and backup situation – putting things in place for you and/or advising recommendations. checking links are still live. looking over your general set-up and making suggestions that will be useful for you and your business. and some ideas on how you can improve your blog/website or minor tweaks you want carried out. Email this to hello@blogmistress.com and we’ll book you in. If you’re not sure about any of these items, just say and we’ll point you in the right direction.